is being constructed and will be ready for next week's guest chat. health or otherwise, PLUS our always-available Insta-Chat. questions of any of our experts on midlife issues. Winter is upon us to provide some relief for your hot flashes. *change* -- Power Surge will always be here for you! 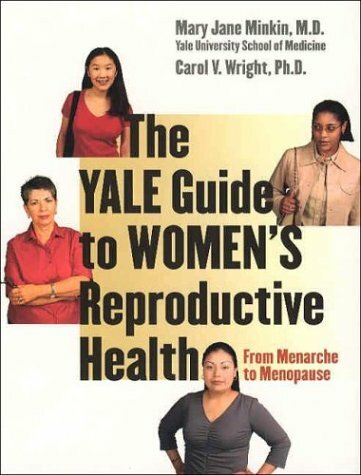 about menopause and health-related issues. Join MARY JANE MINKIN, M.D. in the U.S., U.K. and Canada, Scientist, Nutritionist, Stephen Holt, M.D. Dearest: Dr. Holt, what exactly is Syndrome X? resistance to the hormone insulin. the time of the menopause. and this disorder is best considered to be a type of pre-diabetes. You do not need to have a full house of problems to have Syndrome X. Insulin resistance can be associated with one or more of these risk factors such as being overweight or having high blood or cholesterol problems. My book, Combat Syndrome X, Y and Z attempts to show that this constellation of problems is a unifying disease where Syndrome X is caused by lifestyle with genetic disposition. Statistics show that about 1/2 of all Hispanic and other women have Syndrome X between the age of 45 and 65 years. Between 30 and 40% of Caucasian women in the same group have the disease. The key is public awareness. insulin tells the liver to make more cholesterol, and the body to store fat. The kidneys force higher blood pressure. Now you can see how all these link together to form excess insulin. a potential stroke, glaucoma -- have I left anything out? while they're moving through this process. shaking. It was my nemesis during perimenoapuse. basis. The feelings were so strange, they almost defy description. No one could see it, but it felt as though I were having a stroke. abate once you've been without a period for about a year or two. house wouldn't know whether to turn on the heat or air conditioning. joints aching and paining often to the point of bringing tears to your eyes. central nervous system, nerve endings produce electrical impulses. like someone is holding a gun to your head. relaxation and breathing techniques that can be tremendously helpful. think, "God, if I have to feel this way tomorrow, let me not wake up." closer to and enter menopause (postmenopause). "Why do you call them symptoms? Menopause isn't an illness." it's hard to think of oneself as "well." the most gratifying and "freeing" experiences of my life. Become your own best friend. Learn the situations and people to avoid. yourself with as much peace and quiet as you can. Be good to your body and your body will return the favor in kind. * Syndrome X: hypertension, cholesterol, heart disease: With Stephen Holt, M.D. * Menopause & Soy Isoflavones / Revival: With Aaron Tabor, M.D. * A Gynecologist Speaks About Menopause: With Duane Townsend, M.D. * Hypertension, High Cholesterol & Heart Disease: With Mark Houston, M.D. * Auto-Immune Disorders: With Stephen Edelson, M.D. * Women, Sexuality, Menopause and Testosterone: With Susan Rako, M.D. * Everything About Osteoporosis: With Felicia Cosman, M.D. * Gynecology and Menopause: With Marcie Richardson, M.D. wondering what the heck happened. are those between ten and seventy. I refuse to think of them as chin hairs. I think of them as stray eyebrows. who never owned a car. A woman must do what he can't. * Ask The Pharmacist, Pete Hueseman, R.Ph, P.D.